We encourage ongoing cleaning and maintenance after your hearing aid purchase to ensure you receive optimum performance and benefit from your hearing aid(s). We encourage all our clients to come in for regular hearing aid check-ups and cleaning. 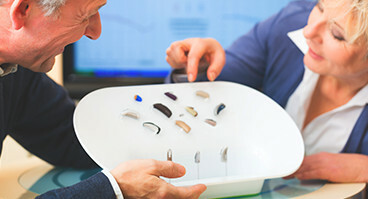 Live Speech Mapping is a fitting process that uses probe microphones and live real-time speech to allow the client and their family members to immediately see and understand the benefits of hearing aids and fitting adjustments.